Each section contains certain number of video-recorded lessons, each with detail textbook-like description, which you can download and study off-line. Most lessons are accompanied by multiple choice tests. In addition, sections have exercises intended for you to apply your skills and knowledge to solve problems or prove theorems. In some cases these exercises contain answers for you to check your results. Important is to get these answers by yourself. Every such exercise has a subsequent review lesson, where these problems are analyzed in detail. This introductory lecture is about the history of Trigonometry, its main subject - the angles, ways to measure them, initial definitions of simple operations with angles and basic functions of them. In particular, the definition of trigonometric functions for angles in right triangles is presented. 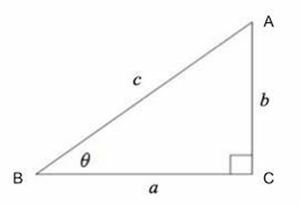 Important exercises on basic concepts of trigonometry - values of trigonometric functions for main types of angles of right triangles and construction problems on using elementary trigonometric functions. This lecture introduces a concept of a unit circle on a coordinate plane. 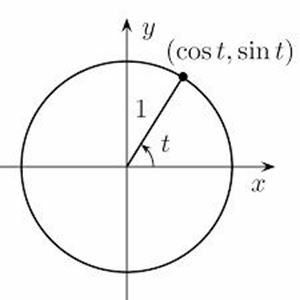 Using this concept of a unit circle, we can define trigonometric functions SIN and COS for any angles, positive and negative, not limited to any range, measured in degrees or radians. 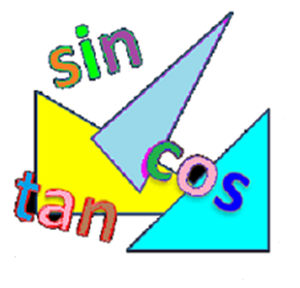 From functions SIN and COS we define all other trigonometric functions - TAN, COT, SEC and CSC. 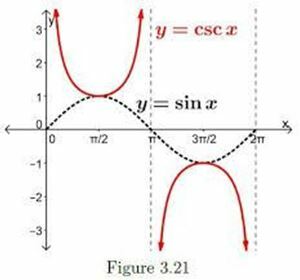 We also demonstrate an equivalence of this definition of SIN and COS to a definition of these functions for angles in a right triangle as a ratio between its sides. Discussed methodology of derivation of the values of all trigonometric functions for most frequently occurred angles in trigonometric problems. 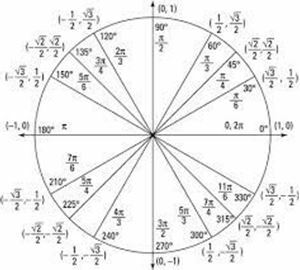 This methodology has a simple foundation of a concept of a unit circle, Phifagorean Theorem and simple geometric properties of triangles. 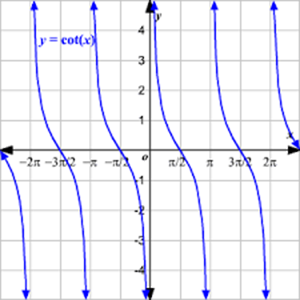 Values of trigonometric functions for angles outside the first quadrant. 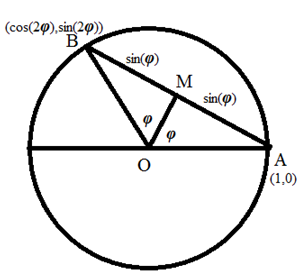 We present a list of simple trigonometric identities with detailed proof of each. 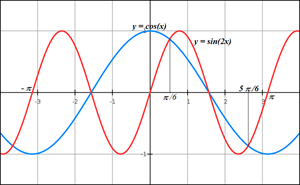 Solved are simple problems related to usage of trigonometric functions to determine characteristics of right triangles. 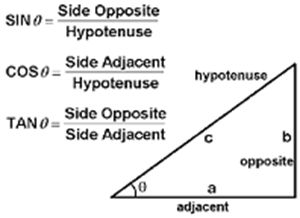 Review of simple problems related to usage of trigonometric functions to determine characteristics of right triangles. Major properties of function y=SIN(x) are presented and proven. 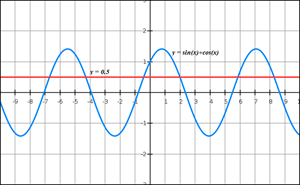 Discussed a graphical representation of this function. 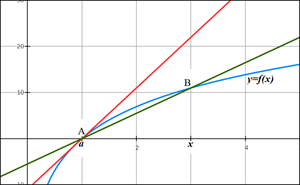 Major properties of function y=COS(x) are presented and proven. Discussed a graphical representation of this function. 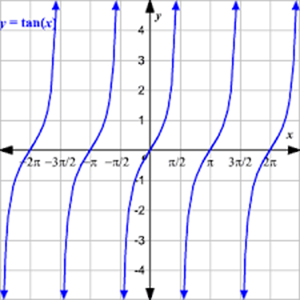 Major properties of function y=TAN(x) are presented and proven. 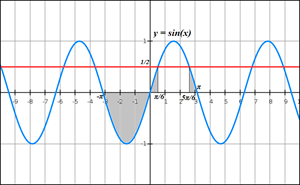 Discussed a graphical representation of this function. Major properties of function y=COT(x) are presented and proven. 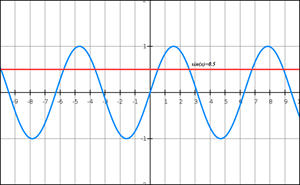 Discussed a graphical representation of this function. Major properties of function y=SEC(x) are presented and proven. Discussed a graphical representation of this function. 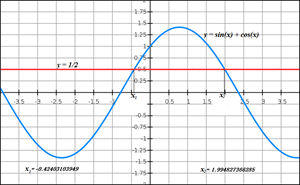 Major properties of function y=CSC(x) are presented and proven. Discussed a graphical representation of this function. A. Is it odd, even or neither? B. Is it periodical and, if yes, what is the period? D. What kind of symmetry, if any, does its graph have? E. Does it equal to zero at some points and, if it does, where? F. Does it have asymptotes and, if does, where? G. What are its maximum and minimums and at what values of an argument? In this lecture we introduce a general concept of an inverse functions, including the relationship between domain and range of an original function with domain and range of its inverse copunterpart. 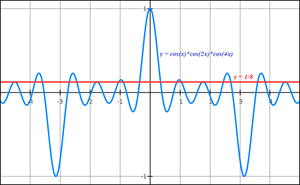 Also included the graphical representation af an inverse function. 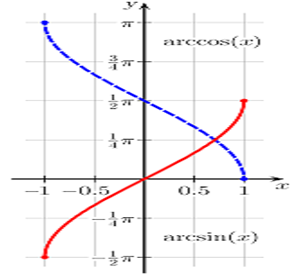 Six inverse trigonometric functions (arcsin, arccos, arctan, arccot, arcsec, arccsc) are defined and analyzed, including their domains, ranges, properties and graphs. 1. 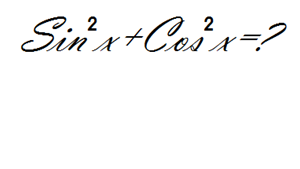 What are the domain, co-domain (range) of a particular inverse trigonometric function? 2. 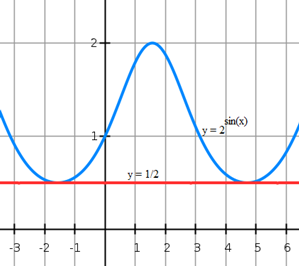 Draw a graph of this function. 3. What are the values of this function for certain specific values of argument? 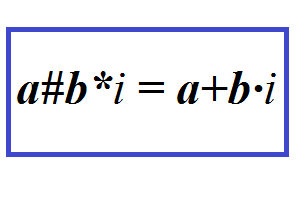 Presented and rigorously proven are a few basic trigonometric identities. 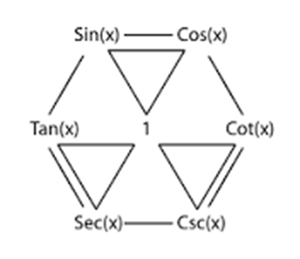 In particular, simple correspondence between sin(x) and cos(x), trivial for acute angles, is expanded to all angles. In this lecture we present a proof of formula cos(x+y)=cos(x)cos(y)-sin(x)sin(y). 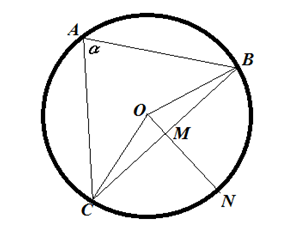 First, geometrically, for acute angles, and then expanded to all angles in one particular case (other cases are analogous) using basic identities presented earlier in the course. 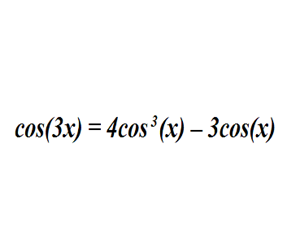 Also presented is a geometric proof for formula cos(x-y)=cos(x)cos(y)+sin(x)sin(y) for acute angles. Expansion to any angles is similar to above. 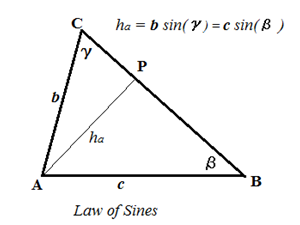 Formulas for sin, tan, cot of a sum of or a difference between angles are presented in this lecture. 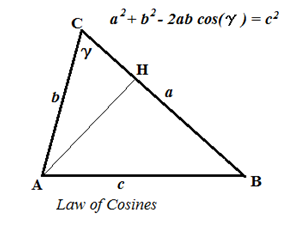 Also, formulas for sin and cos of a tripple angle are addressed. All formulas are rigorously proven. Theese exercises are intended as an illustration of techniques used in trigonometry to simplify and transform trigonometric expressions and to assist in developing the logic behind these manipulations. 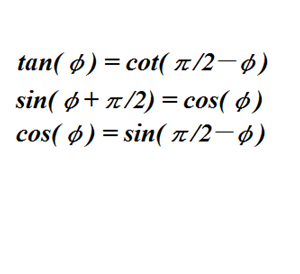 Basic trigonometric equations of type sin(x)=a, tan(x)=a etc. are presented with discussion on methodology of solving them. Simple examples are provided as an illustration. 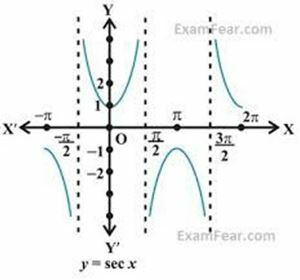 Problems with trigonometric equations are explained, analyzed and solved. 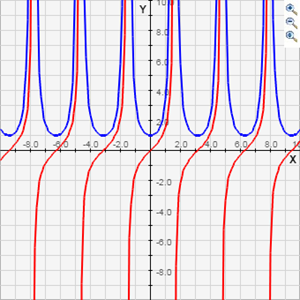 A few more problems with trigonometric equations are presented, analyzed and solved. 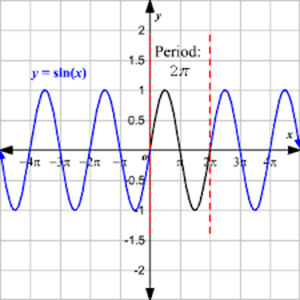 More problems with trigonometric equations are explained, analyzed and solved. Three examples of systems of two differential equations with two unknowns are presented to illustrate different methods of solving them. 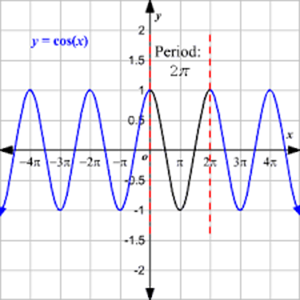 Problems with systems of trigonometric equations are explained, analyzed and solved. Emphasis on graphical interpretation of inequalities. Presented, analyzed and solved are a few problems with trigonometric inequalities. 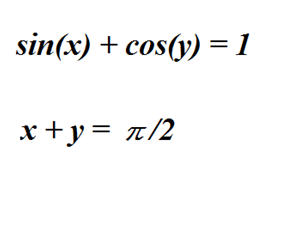 These analyzed and solved problem on trigonometric inequalities introduce a couple of new techniques to solve them. Four geometrical problems are presented with solutions based on trigonometry. 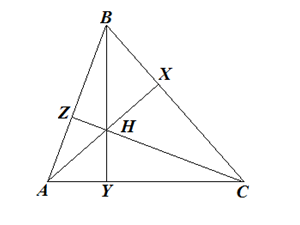 Let H be a point of intersection of altitudes in the triangle ΔABC. 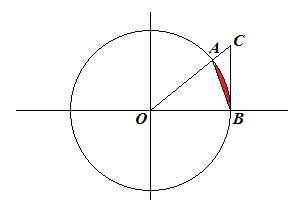 Prove that three circles that circumscribe triangles ΔABH, ΔBCHand ΔCAH have the same radius. 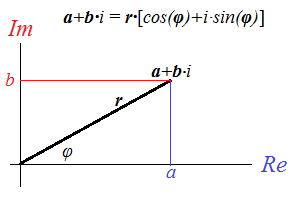 Express s(area of a triangle) in terms of R, α, β, γ. 1. 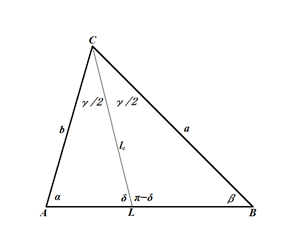 Prove that for any triangle the following equality is true. 2. Prove that for any triangle the following equality is true. 4. Prove that for any triangle the following equality is true. Four more Geometry problems that can be solved using Trigonometry. Among others, the following problem is offered. 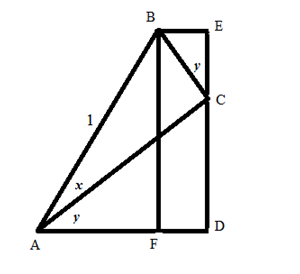 Given a parallelogram ABCD with an acute angle ∠BAD=α. Prove that 4·AB·AD·cos(α) = AC²−BD². The purpose of this lesson is not only to describe the expansion of a set of real numbers towards complex ones, but to justify the necessity of this and to introduce the complex numbers in a more rigorous fashion than traditionally presented to many students. We will follow the evolution of a concept of number from natural to integer, to rational, to real and explain the necessity of this evolution in a quest for symmetry and harmony of our theory. That same quest will lead us to introduction of complex numbers. Basic definitions that are used to create a new set of numbers are presented in details, as well as main operations with complex numbers and laws that direct these operations. This lesson is a more formal, abstract, more rigorous definition of complex numbers and operations with them. The need for more rigorous definition of complex numbers lies in a simple fact that, defining any operation on two objects, we have to properly define a set these objects and the result of operation on them belong to. If r is a real number and i is an imaginary unit, the square of which equals to -1 and is not a real number, what is the set they both belong to? How to perform addition or multiplication on them? What set the result of operation on them belongs to? These and other questions can be answered by rigorously constructing a new set of complex numbers that properly represents all real numbers, all imaginary numbers and the results of operations on them. This is a subject of this lesson. Vector representation of complex numbers in Cartesian and polar coordinates. In this lecture we will present an example of solving trigonometric problems using the presentation of complex numbers in trigonometric form. 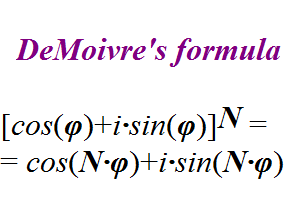 Calculate the following sums using complexz = cos(x)+i·sin(x) and the Moivre's formula. 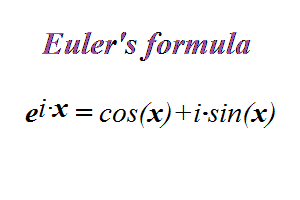 Defining the operation of raising of a real number into the imaginary power (Euler's formula) and proving the validity of this definition. 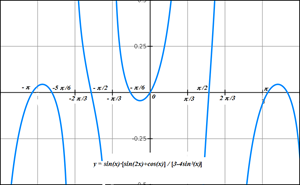 Brief recap of main concepts of Calculus - Limits, Derivatives, Integrals - for the purpose of analyzing the behavior of trigonometric functions in subsequent lessons. Definitions and main characteristics of these concepts are duscussed in a very short format. 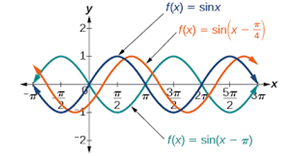 Three functions, sin(x), cos(x) and tan(x) are analyzed using the tools of Calculus. In particular, the intervals of increasing and decreasing are identified as well as points of local maximum and minimum. Learning is not just accumulation of information. Educational process, especially for such a subject as Mathematics, is an active two-way street. The teacher provides you with information and expects something in return – your full attention, participation, and effort, without which anything you get will soon be forgotten without any traces. In return for your efforts you will be rewarded with Knowledge and develop your abilities to approach many new problems in a creative, analytical way, which leads to success in any field you will be working. Overall, more than 20 hours of video-recorded lessons! Resources, available for supervising parents, contain answers to all multiple choice tests with detail reasoning why these answers are correct. These tests are very important and we encourage all parents to make sure that the answers provided by students are not only correct, but have logical reasoning behind them similar to considerations offered in answers provided in the resources. Practical exercises are presented as two separate items each - a description and an explanation and analysis in the following lesson. They are intended for students to apply their skills and knowledge to solve problems or prove theorems by themselves and then check it against the explanation provided in the course. In some cases these exercises contain answers in the description itself to check the results. It is important to go through these answers prior to watching the subsequent lesson with full analysis and explanation. The primary goal of this course is to present the students with rigorous definitions, properties, relationships and dependencies among different objects studied in Trigonometry. Perhaps the most interesting part of this course is the kind of problems offered as tests or exercises. They require not only factual knowledge of the information provided in theoretical lectures, but also certain degree of creativity, ingenuity and analytical thinking and, as such, are intended to develop these skills, which will be useful in any future profession. Development of these qualities in students is an extremely important goal of this course. The course is intended for high school level students who are either involved in home schooling or are just interested in deepening their mathematical knowledge as a tool to develop their creativity, logic, analytical thinking and, arguably, general intelligence. Those students who successfully complete this course will excel not only in Trigonometry, but in other mathematical topics and all aspects of their lives that involve deep understanding, thinking and decision making. 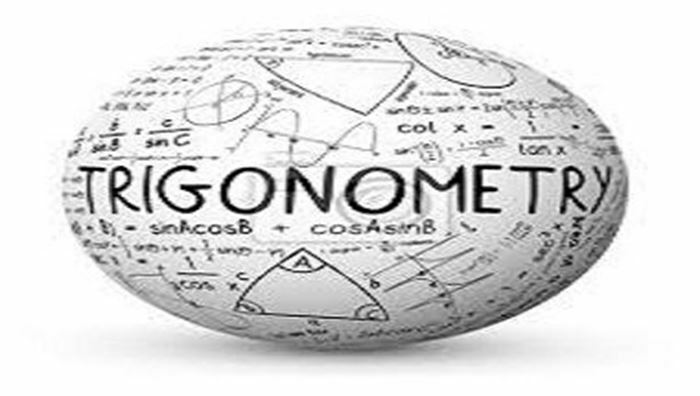 Strong algebraical and geometrical skills are assumed for students studying Trigonometry. In addition, knowledge of complex numbers, limits and derivatives would be useful. For those not familiar with the concepts of complex numbers, limits and derivatives the course contains introductory lectures, which introduces these concepts to a level sufficient to understand their application to Trigonometry. My name is Zinovy (Zor). I am a mathematician by education, a computer programmer and a financial specialist by profession and a teacher by inspiration. I was born and educated in the Soviet Union, graduated as a mathematician from a prestigious Moscow University at the time when its math school was one of the best in the world. Though, I consider my high school years to be at least as important because of a brilliant math teacher who established a solid foundation to my future math study. After graduation from university I was working in the computer industry developing software for statistical applications. At age of 30 I with my family immigrated to the United States and continued my career in New York as a computer specialist primarily in the financial industry, working for the best in the world financial information provider and then for the largest asset management company in the world. I think, many of our high schools do not provide an adequate level of knowledge in such an important subject as Mathematics and Physics. I am sure, many young students, especially those studying these subjects at home, would welcome an opportunity to deepen their knowledge, while teachers might be benefited from a course concentrated on rigorous presentation of ideas, logic and methods. After retirement I have decided to dedicate my efforts to education to transfer my knowledge of Mathematics and system of study to those young students who appreciate rigorousness, logic and creativity and cannot get it in schools for any reason. When approached by Lernsys, I realized the potential of cooperation between this company, serving as a conduit of knowledge, and a provider of quality education to homeschoolers. I hope that the high quality of educational material I can provide, combined with publishing capabilities of Lernsys, allowing it to distribute these materials to a broad audience of students, will open a new page in the system of education. Each document in this resource contains answers to corresponding test questions.